Print a coupon instantly for a buy 1 get 1 free entree after playing game. Get to round three of the game and they will text you a coupon for a free order of guac and chips. Get their app to make ordering easy from their menu, also get mobile coupons when available. At the bottom of their page, join their email list and receive the latest news, coupons, and offers. Coupons not required. $3 Burritos On Halloween Night for Customers in Costume. Print coupon, purchase a burrito, burrito bowl, salad or order of tacos and receive a second one free at your local Chipotle Mexican Grill restaurant. 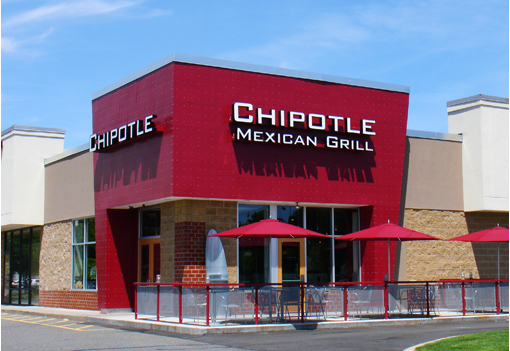 Chipotle Mexican Grill is a chain of fast-casual restaurants in the United States and Canada specializing in burritos and tacos.